For several years I facilitated a career exploration program for high school girls in San Francisco and repeatedly young women would express confusion and frustration about how to know what career was right for them. According to them, many adults repeatedly tell them that they did not realize what their true gifts and passions were until much later in life; that many years were spent after high school pursuing different career interests or too often opportunities or dreams were missed because life got in the way. As this topic came up with each new cohort of young women, I began to encourage a different perspective about career exploration. I explained to them that choosing or having a career was not necessarily an endpoint, a destination, or a goal that once attained the journey would end. Instead, becoming a professional (or having a profession) was a pursuit that would also require continual growth, adaptation, and change. While many people certainly select a career path early on in life, still many more pursue different careers throughout their life time. Young people view adults as having “figured it out”, so oftentimes realizing that adults are still (and will continue to) figure it out as they go, can be a little disheartening; especially if, as educators, we have conditioned learners to believe that they must work hard in school to prepare for “that career” that awaits them someday! What then is the expectation for an educator once they have achieved that professional status that they have pursued, and now that they have begun to practice the art of teaching? The very nature of our rapidly changing society demands that educators must continue this professional pursuit of knowledge, understanding, and teaching. As practicing professionals in our field, we must contribute our ideas and experiences to our greater community; we must seek to represent what is best practice and what works in our classrooms. We need to innovate strategies, share resources, advocate for change, and participate in a greater dialogue about the future of education. All these things require educators to be informed, to participate, and to lead beyond the scope of their respective classrooms. Participating in this Master’s Program has helped me to develop habits and practices for continuing to expand my content knowledge and awareness of new and emerging teaching strategies and practices. In this blog, I articulate my understanding of the broader issue of online communities of learning and practice; this is an important aspect of professional development, that we not only look at the strategies and methods that we can use in teaching, but at the greater context of systems and issues relevant to our practice. In this case, by examining best practices and important considerations in facilitating online learning communities (and communities of practice), I had established a broader framework and understanding of what would be needed to facilitate or support such a community within an online course. In a sense, exploring this greater context, was equivalent to a literature review I might conduct in preparation for a research project or even finding current and background research on a particular topic before presenting it in a class. My understanding of learning in a collective has also been deepened through my interactions with students, peers, and mentors. 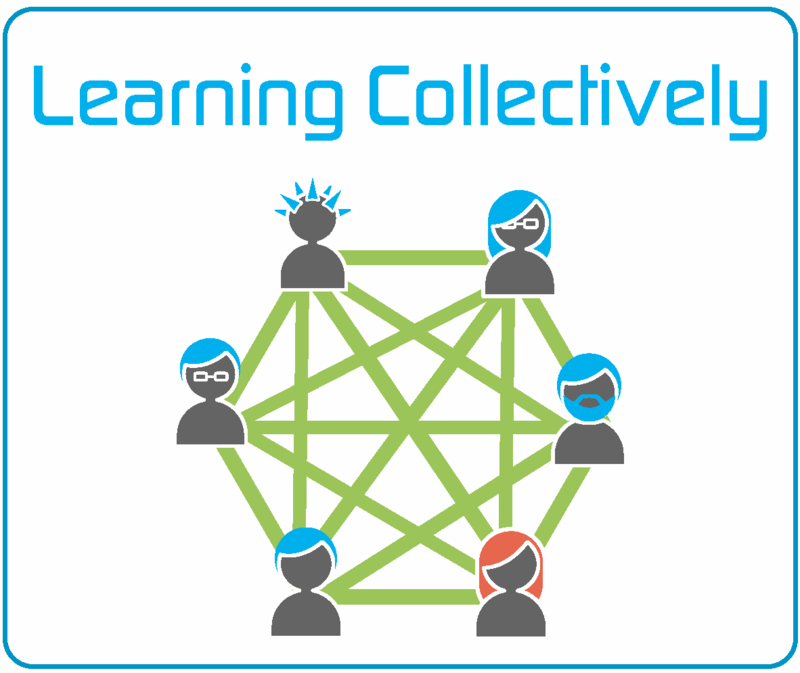 I blogged about “Embracing the collective while bringing a sense of community” to my work and how discovering the value of connecting with other educators through Twitter has broadened my perspective as well as my impact on the field of education. By regularly leading Twitter chats and sharing transcripts of our class discussions, I can not only facilitate a collective and engage with others in real time, but also share our combined learning experience with a wider audience. This public nature of our dialogue and discussions about educational issues and practice serves to also hold us accountable with the greater educational community; these artifacts demonstrate how I effectively participate and contribute to this community and that I accomplish the larger goal of conducting myself in a professional manner regardless of the platform or audience. My Final Reflection of Learning from my Virtual/Online Teaching and Learning course also includes my Philosophy of Online Teaching & Learning; this document specifically addresses ISTE (NETS-C) Standards (4a, 4b, 4c, and 6b) relevant to the Professionalism goal. The reflection describes the processes and tools I used during the Givercraft (MinecraftEdu) experience, as part of a team that designed the online Teacher Training course. I used data form a needs assessment form to determine content for the course, I helped to design an online course and measured it against the Quality Matters Rubric, and I used a wide range of tools to gather formative assessments about the impact and outcomes of the training course on students, teachers, and the community of learners throughout the experience. The Philosophy of Online Teaching and Learning specifically addressed how my professional practice was impacted by my learning throughout the course. I reflected on how participating in an online community of learning gave immediate context to my study of best practices that could be used in teaching an online course. I revisited the ADDIE model and articulated some important considerations for practice and future project management teams. This particular virtual team teaching experience really lent itself well to the ADDIE model but also combined important elements and pedagogical considerations that I identified in the artifact. My understanding of adult learning processes took on a whole new meaning as I was fully aware of my own process of learning while at the same time facilitating a learning experience for adults. It’s often said that teachers make the worst students. However, my experiences and reflections in this artifact, proved to me that teachers can in fact be the best students, when they are supported appropriately. When instructors or facilitators have a well-developed pedagogy and knowledge base about adult learning and communities of practice, the collaborative discourse becomes an engaging and valuable experience for teachers.